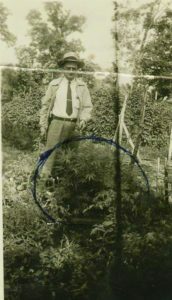 Detective Billnitzer beside marijuana plant. He was a top narcotics cop. 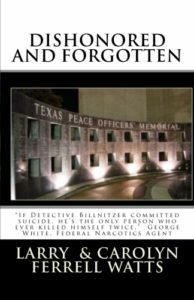 Detective Martin Billnitzer lay dying on the floor of an office at the Houston Police Department. In the adjoining office, officer George LaRue heard two gunshots and when he tried to open the door, believed it was locked. He left to get a key. 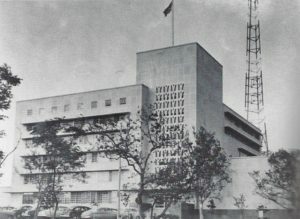 In the meantime, a secretary, also hearing the shots, ran into the office and opened the door, which was partially blocked by Billnitzer’s body, but not locked. Soon rumors were circulating that a man was observed running from the office. Never substantiated, and dismissed as being a janitor who ran after hearing the shots, those rumors became nothing more than anecdotal history. Billnitzer had been shot twice in the heart and had a serious gash to the head. The detective had met the day before with federal authorities who were investigating missing heroin from the Houston P.D. He was involved with other officers in the initial seizure of the dope. In his first interview, Billnitzer’s account of how much dope was recovered conflicted with that of the other officers. He returned later in the day to meet again with the agents and clarify the differing accounts. Some later speculated that he, as most narcotics detectives of the time did, retained small amounts of narcotics seizures to give to informants in payment for information. This practice was not uncommon as late as the early 1970’s. The day after meeting with the feds, he met with the police chief, who was sticking to the story that the amount of heroin seized was much less than the other detectives claimed. Detective Billnitzer left that meeting and walked to his office. He was dead within minutes. Chief Morrison told the news media that Billnitzer was not suspected of being involved in the missing heroin. George White, the chief investigator in the federal investigation, confirmed that he was not a subject of the federal investigation. The chief hinted that the detective might have failed to properly log some narcotics in the past, but said it was not so serious as to warrant a suicide. Some officers had been concerned since the night of the seizure, when Captain Melton took the dope and told them not to make a report. Their fear was that rank and file officers would be blamed for the missing heroin. They may have believed those comments by the chief confirmed their suspicions that the high-ranking officers would be protected at their expense. There are differing accounts and opinions about whether Detective Billnitzer committed suicide. 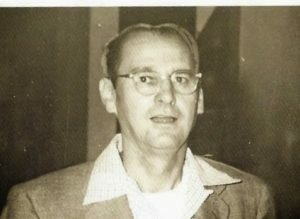 At the time of his death, Federal Agent George White told the media, “I think the man was murdered. If he killed himself, he is probably the first man who ever killed himself twice,” referring to the fact that Billnitzer was shot twice in the heart. Years later, White said, “I still think it was murder. It just is not possible for a man to shoot himself in the head or heart, stumble against a cabinet, causing a head injury, and after falling on the floor shoot himself in the heart. It could not be done.” Unfortunately for the Billnitzer family, federal authorities had no jurisdiction to investigate the death; that responsibility fell to the local police. But others, not directly involved, although familiar with the investigation, had a different opinion. 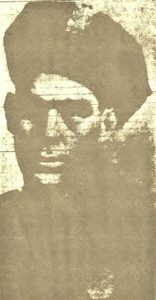 A friend of well-respected Lieutenant F.C. 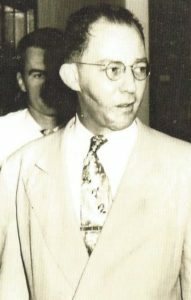 Crittenden, who was on the department at the time, told me that Crittenden expressed to him that, “I will go to my grave convinced that Billnitzer’s death was suicide.” It has also been related to me that an investigator who was assigned to review the case fifty years after the death has strong feelings that the case was properly classified a suicide. It’s been just over sixty years since Martin A. Billnitzer’s death. It is unlikely there will ever be a definitive decision about whether he was murdered or committed suicide for those who refuse to accept the results of the investigation by the police department. The next episode will be about information the family learned through open records requests to the federal government. 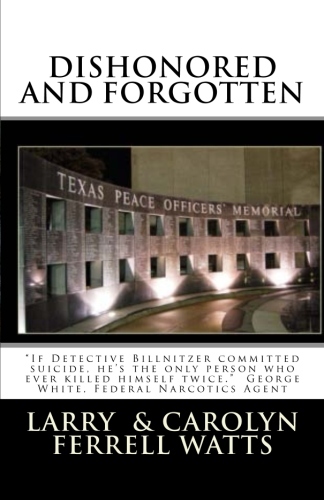 If there is any chance that Billnitzer was murdered because he refused to go along with a cover-up by others, it is tragic that his name is not included on the various memorial walls that honor police officers killed in the line of duty. My book, Dishonored and Forgotten, which details a fictional account of this narcotics scandal, will be released on January 2, 2017. 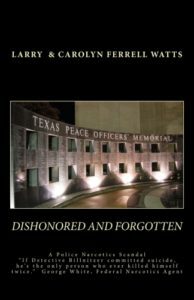 I am scheduled to make a short presentation about the book at the Houston Police Retired Officers Association meeting on January 12, 2017 and will have copies available there. 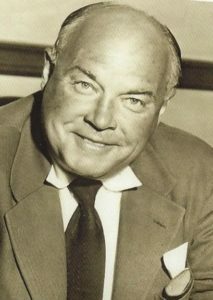 But in the death of Detective Martin A. Billnitzer on June 3, 1954, was a line-of-duty death falsely or mistakenly ruled a suicide? On that June day, Detective Billnitzer had just completed a meeting with Houston Police Chief L.D. Morrison, Sr., regarding his interview by federal agents. The subject of the interview was heroin missing from the H.P.D. As he left the Chief’s office, Billnitzer told reporters waiting in the hallway that he would return in a few minutes to answer questions. Moments later, two gunshots rang out in the halls of 61 Riesner Street, the home of the Houston Police Department. Martin Billnitzer lay dead in his office with two bullet wounds in his heart and a nasty gash to his head, blood oozing onto the floor around him. With whirlwind speed, the death was ruled a suicide by the Police Chief and a Justice of the Peace, acting as coroner. In this blog story we’ll get to know more about Detective Martin Billnitzer. Born in 1909, he was just forty-five years old the day that life abandoned him on the floor of an office in the police station. 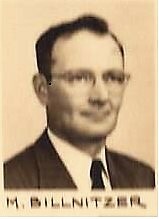 He had been a police officer for twelve years, having joined the Department in 1942. Born in Cave Creek, Texas, a community north of Gatesville in central Texas, his family soon moved to Jourdanton, Texas. There Martin played baseball, enjoying the role of pitcher on his team. As an adult, he married Marie and they moved to Houston. They had no children. On the 1940 census, Martin was listed as a salesman for Home Electric Refrigerators. Family member say that he managed a business in Houston just prior to joining the police department. Others reported that his wife Marie was a school teacher, though that was not reported on the same census. The Billnitzers were active in their community, particularly the Lutheran Church they attended in Houston. The couple was involved in helping with the Youth Choir. The night of his death, Martin and Marie had scheduled a backyard party at their home for the members of that Choir. I interviewed W.M. “Bill” Elkin, retired detective and current Executive Director of the Houston Police Retired Officers Association as part of my research on this story. 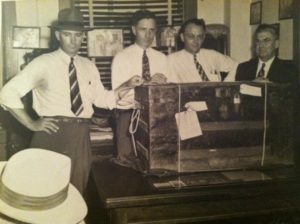 Bill joined HPD shortly after this story broke in 1954 and recalls only vague details. He does remember, however, that his father, Joe. B. Elkin, who was also a Houston officer and retired in 1969, knew Martin Billnitzer. He recalls conversations with his Dad about the narcotics investigation and death of Billnitzer. Joe told his son that he questioned how Billnitzer died. He said that Martin Billnitzer just wasn’t the kind of guy who would commit suicide. In 2004, family members of Detective Billnitzer made a request to the Houston Police Chief that the death of their brother and uncle be re-examined. Through the Federal Freedom of Information Act, they had found documents from the 1950’s investigation by Federal investigators that referred to Billnitzer’s death as a murder, not a suicide. As you might expect concerning a case that occurred fifty years prior to the request, the Chief declined to re-open the case. 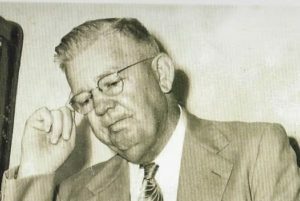 My next blog will explore more about Detective Billnitzer’s death, some of the unusual reports about a man running from the office where he was shot, and forensics speculation all these years after his death. 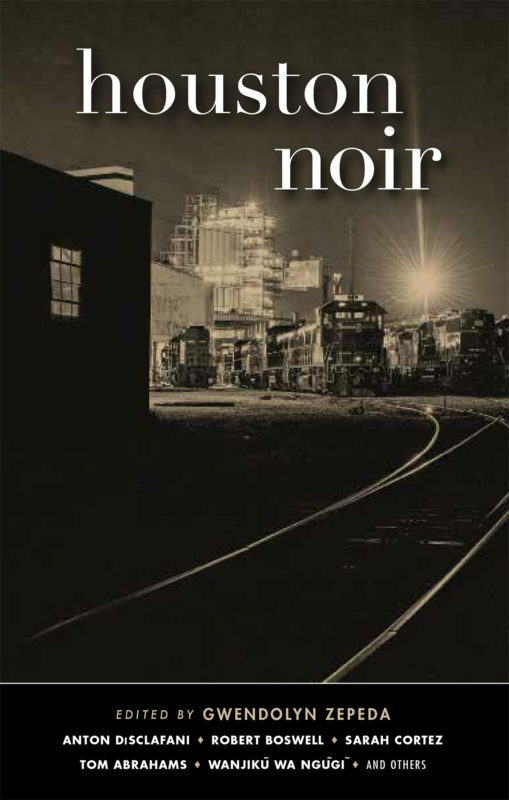 My book, Dishonored and Forgotten, scheduled for publication on October 15th, is a fictional account of the infamous 1953 narcotics scandal and the toll it took on lives and reputations within the Houston Police Department. 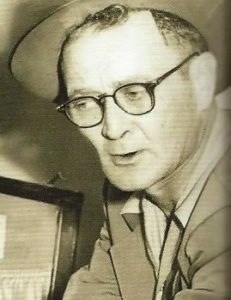 (June 1954) A month earlier the media and Houston Police Chief L.D. Morrison learned that the federal government had sent agents to Houston to investigate allegations of missing heroin from the police department. The officers who recovered the dope and the dealer who bought it back told the feds there was about $75,000 worth of heroin, nearly ¾ of a million in today’s dollars. But the Chief, City Attorney Will Sears and Captain Foy Melton said it was not more than $2,000 worth of dope. Morrison admitted that a single detective, acting alone, sold some of the dope back on the streets. But that detective, Sidney Smith, didn’t work in the Vice Squad and the Chief never explained how Smith obtained the dope that was reported to be in Assistant Chief George Seber’s office. It smelled like a cover-up and it was! Eventually the top cops would turn over more dope to the feds, but not all of it. On Thursday, June 3rd Detective Martin Billnitzer was found shot to death in an office at the police station. He had two bullets in his heart and a nasty gash on his head. Chief Morrison, the City Attorney, and a local justice of the peace declared it to be a suicide. Many others, including the officers who worked with him, the federal investigators, and his family believed that he had been murdered. The following Saturday, Morrison issued an order to all police officers that they were prohibited from talking to anyone, including federal agents, about the heroin or death of Detective Billnitzer. He declared he would answer all questions. Detective Sidney Smith was fired and charged with selling heroin. He was eventually convicted and sent to prison. When interviewed in prison by federal investigators, he said that Detective Billnitzer was murdered and that the pistol used had been stolen from a store and used to kill the detective. Houston Police records indicated it was Billnitzer’s personal weapon. Captain Foy Melton and a local doctor, Julius McBride, were indicted on June 25th. The doctor was charged with supplyng Chief Morrison with codeine for purposes other than medical use. He was eventually sentenced to 30 months in federal prison. Morrison was not charged, but testimony at McBride’s trial indicated he was addicted to codeine. 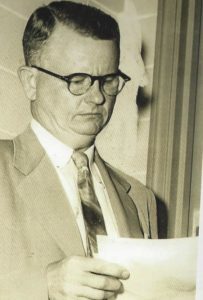 He resigned as Chief of Police, but remained on the department. Captain Melton was tried twice on the federal charges. First in Brownsville, then in Corpus Christi, juries could not reach a verdict. L.D. Morrison testified on his behalf. Melton appealed his suspension to the civil service commission and was promptly returned to duty. Melton was charged a few years later with tampering with a witness and bribery on an unrelated case. He was found innocent of those charges, but his firing was upheld by the Houston Civil Service Commission. Melton appealed that decision and eventually the Texas Supreme Court reversed the decision and he was authorized to return to work as a Houston police officer. He opted instead to retire and began receiving his $187.42 per month pension. He was soon hired by District Attorney Frank Briscoe as an investigator. 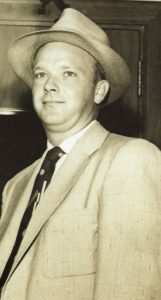 On February 2, 1967, Melton pulled into the parking lot of the Harris County Courthouse and shot himself while sitting in his car. He left two notes which were found in his pocket. A .45 caliber automatic pistol lay on the seat beside his body. On one note was written “Medical Examiner: When you finish, call Heights.” This apparently referred to the Heights Funeral Home in Houston. The second note said “Homicide: Let R.O. Biggs have this .45 automatic. God Bless You All. Foy D. Melton.”Melton had succeeded where all others had failed. He had finally been removed from the ranks of law enforcement. My new book, Dishonored and Forgotten will be available by late October. It is the story of Houston’s first narcotics corruption case which led to the events told above.